Experience ultimate relaxation with this 4D smart massage chair featuring body scanning capabilities, heat therapy and more. Eliminate the stress of trying to schedule time at the spa for a full body massage with the CZ-710 Qi SE chair. 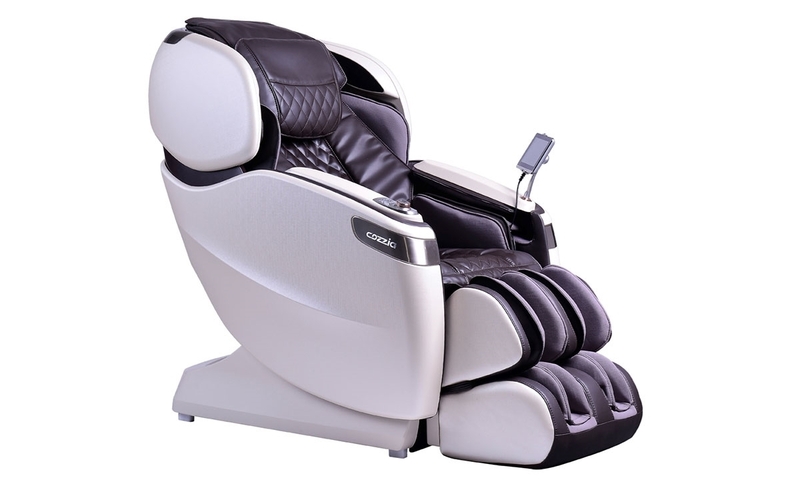 This top-of-the-line model from Cozzia includes long track massage with a 4D Vario Motion™ mechanism for a human-like touch from the neck to glutes, as well as air massage for the legs and calves and roller massage for the soles and feet. Use the wired touch pad and quick access controls on the armrest to modify the recline position and choose from 15 automated programs, different massage techniques and intensities. Or let the chair’s precise body scanning programming identify your needs and adjust accordingly. Heat therapy and LED chromotherapy options plus a built-in Bluetooth music speaker are included to make every massage more relaxing.